Situated in an elevated position overlooking the beautiful River Wye, Belvedere House is set within its own 2 acres of woodland and is ideally located to enjoy all that the Royal Forest of Dean has to offer. 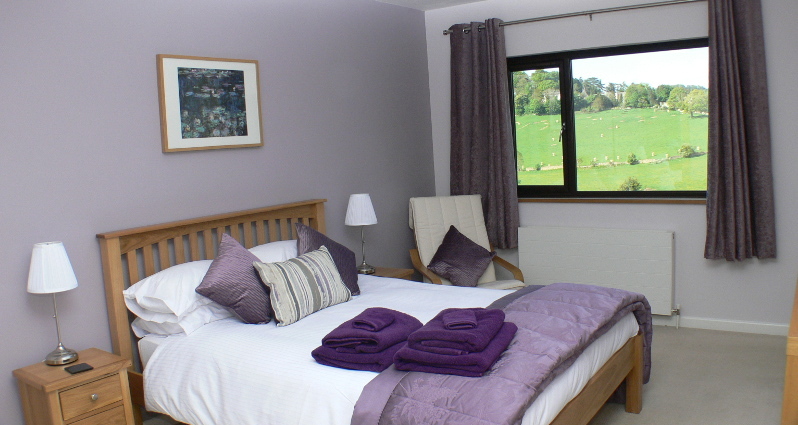 The house itself is of contemporary design and equipped to a high standard ensuring a comfortable and restful stay. Whether you like walking, canoeing, cycling or just enjoying the beautiful scenery and wildlife, you will find plenty to do within easy reach. All our en-suite bedrooms are equipped with solid oak king size beds(with the exception of room 3) with pocket sprung mattresses and quality Egyptian cotton sheets. The rooms also provide flat screen Freeview tv, WIFI, tea and coffee making facilities, wine and beer glasses and silent mini fridge to keep fresh milk, wine and beer. 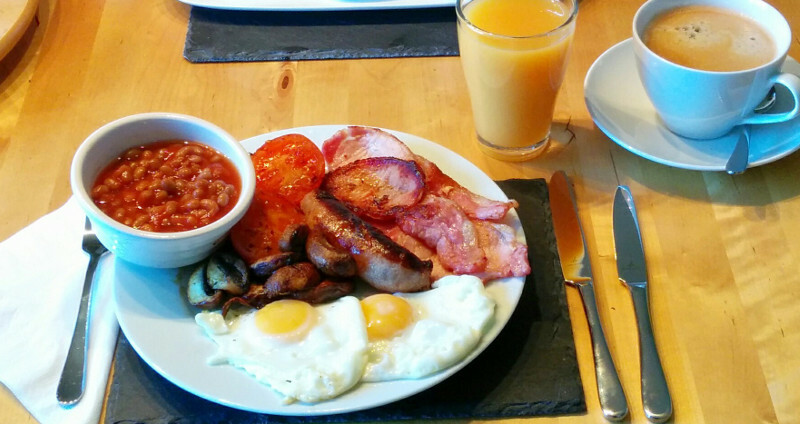 In the morning you are assured of a truly wonderful breakfast featuring everything you could possibly want. Why not start with freshly baked croissant followed by a wide choice of hot breakfast then finish off with toast and marmalade. We use local produce where we can and all bread, jams, waffles and pancakes are home made. Belvedere is located alongside the River Wye in the small village of Lower Lydbrook. We are a short walking distance to the village shop and choice of village pubs. Belvedere is reached via a set of 29 steep steps so may not be suitable for everybody. If you desire a comfortable stay with beautiful view and plenty to do right on your doorstep, then Belvedere House is for you. We look forward to seeing you soon.